There were two kings of July: soccer and Lebron James. The drama-filled World Cup and Lebron's decision to return to the Cleveland Cavaliers ruled the sports world and it was (mostly) fun to watch. 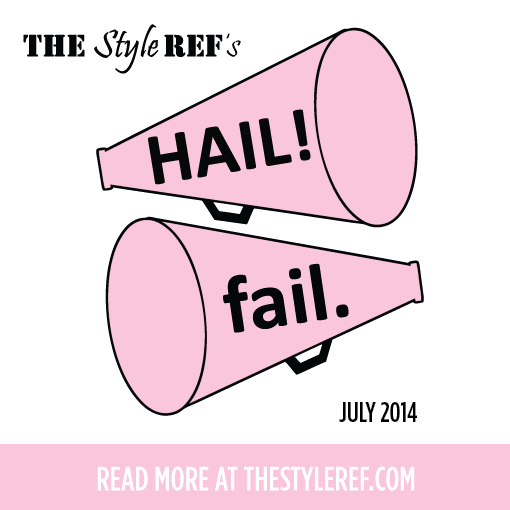 If you stepped out for summer vacation this month, catch up with The Style Ref's July hails (worth cheering about) and fails (worth sneering about) in sports fan fashion and style. 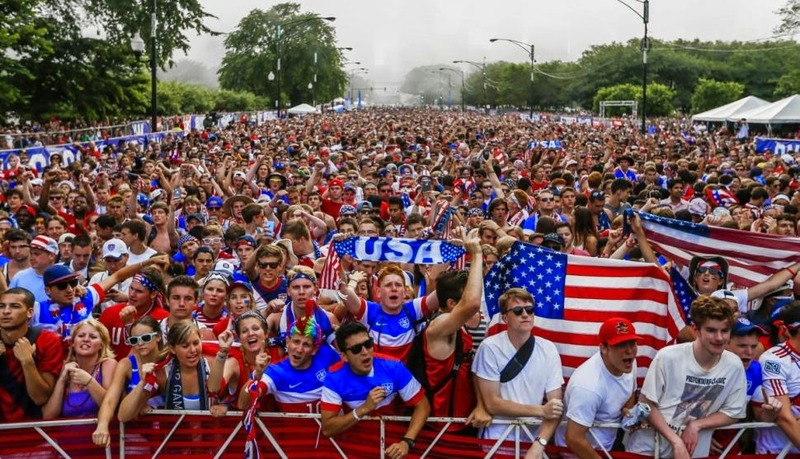 Team USA didn't beat Belgium to advance in the 2014 FIFA World Cup, but soccer definitely won over Americans. The U.S.-Portugal game was the most watched soccer match in ESPN/ABC history, beating other sporting events like the World Series and NBA Finals. That is until the World Cup final, which surpassed it with 26.5 million viewers, making it the most watched soccer game in American history. This World Cup will be remembered for many different reasons. One will be that it marked a turning point for soccer in the U.S. The current challenge before U.S. Soccer is how to channel this incredible momentum to create a movement with staying power. Lebron James is going back to Cleveland. Shocking? Not really. Admirable? Sure. Worthy of the media frenzy and subsequent marketing blitz? Definitely not. He's a legendary player and congratulations to him for returning to his roots, but make. it. stop. 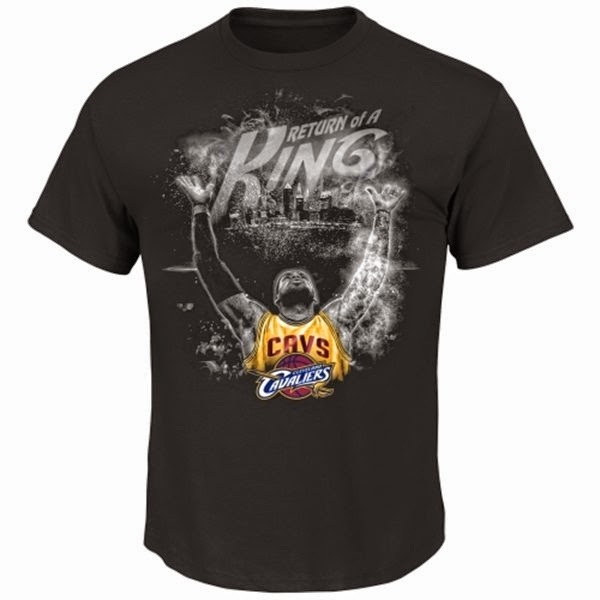 As if the countdown to Cleveland isn't enough to endure, we're also subjected to a line of Back in Cleveland gear, which brings this whole ordeal to a new level of annoying insanity. Is it October yet? Wimbledon's lame dress code just got lamer. The Style Ref has previously addressed the tournament's irrational dress code and apparently, Roger Federer agrees. Athletes have tested the all-white mandate over the last several years, so Wimbledon tightened the rules this year, reinforcing the color ban on all types of apparel and expanding their clothing restrictions. While tradition is important and should be preserved, this is one instance where change is good. Player fashion is one reason why viewers tune in to watch tennis, so why not capitalize on it instead of stifling it? For more than half of the year, sports fans have to live without football. While it's tragic, absence certainly makes the heart grow fonder. Thankfully, the wait is almost over as both the NFL and college football return in just a few short weeks. From the looks of the NFL's new women's apparel campaign, there's even more reason to celebrate! 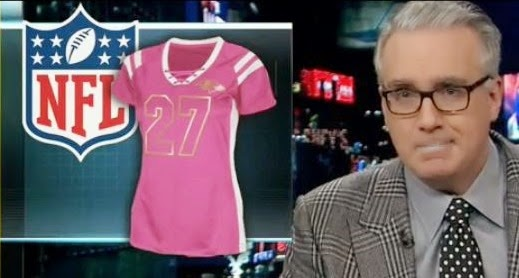 Remember, per Keith Olbermann's advice, just say no to anything pink with rhinestones and Ray Rice's name and number. 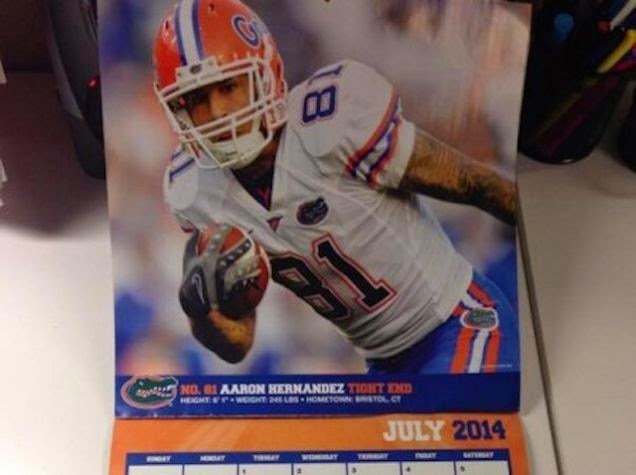 Hey, Florida Gators fans: How'd you enjoy gazing at Aaron Hernandez on your wall this month? Bet you were surprised to see the disgraced alumnus, charged with three murders and currently awaiting trial, gracing the month of July on your 2014 Florida Gators Calendar. You certainly can't blame the athletic department since these things are approved way in advance, but someone should've thought to warn fans about Mr. July. Do you think TSR got it right? Leave your Hails and Fails for July in the comments!